Udaipur, also known as “City of Lakes”, “Venice of the East” or sometimes referred to as the “Kashmir of Rajasthan”, holds the stage as one of India’s truly seductive cities. Tourists flock to this enchanting old and modern town in the heart of the Aravalli Mountains, which offers three inter-connected lakes within the town – Fateh Sagar Lake, Lake Pichola and the smaller Swaroop Sagar Lake, along with forts, palaces, temples, gardens, mountains etc. to relive the reminisces of the historic past, valor and chivalry. Nestled amidst this magical city, is United-21 Lake City Resort, a sprawling five acres property, aesthetically carved to give you a feeling of a traditional Indian palace or Mahal. The resort has forty-three rooms, four big lawns to enjoy your time outside the suite under the glittering stars, a huge swimming pool to have a good swim after a tiring day of sightseeing and a double floor multi-cuisine restaurant serving traditional Rajasthani delicacies as well as continental cuisine prepared by some of the finest chef's in India. Recreation, Backup Generator, Swimming Pool, Family/Child Friendly, Conference Hall, Business Facilities, Airport Transportation, Doctor on Call, Internet/Wi-Fi, Front Desk. Complimentary Toiletries, Wakeup Calls, Ceiling Fan, Desk, Iron/Ironing Board, Balcony / Terrace, H/C Water, Safe Deposit Locker Facility, House Keeping, Basic Bathroom Amenities. 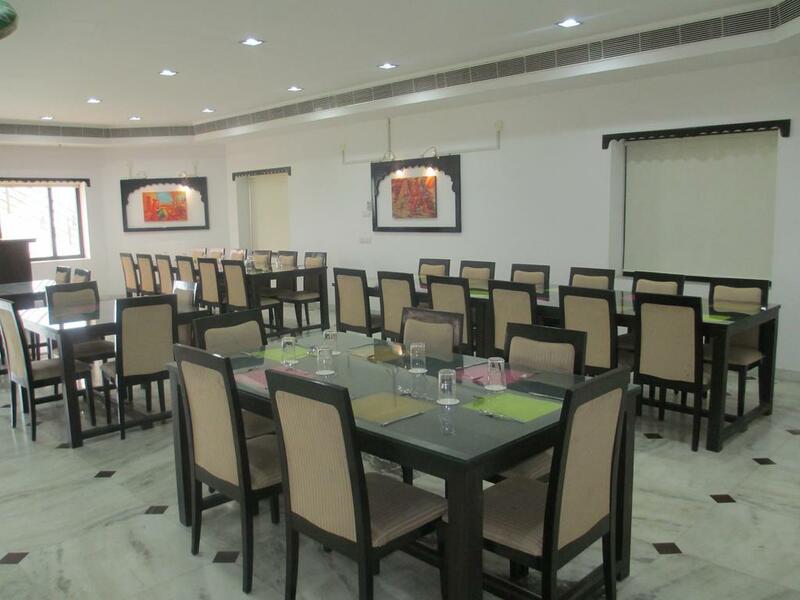 Banquet Facilities, Breakfast Services, Business Facilities, Conference Hall, Doctor on Call, Laundry Facilities, Restaurant, Room Service. User reviews for "United 21 Lake City Resort Udaipur"